Set in a small fictional town in the U.S. during the 1930s, Lars von Trier’s Dogville was filmed in a studio with a minimal set and features narration by John Hurt. 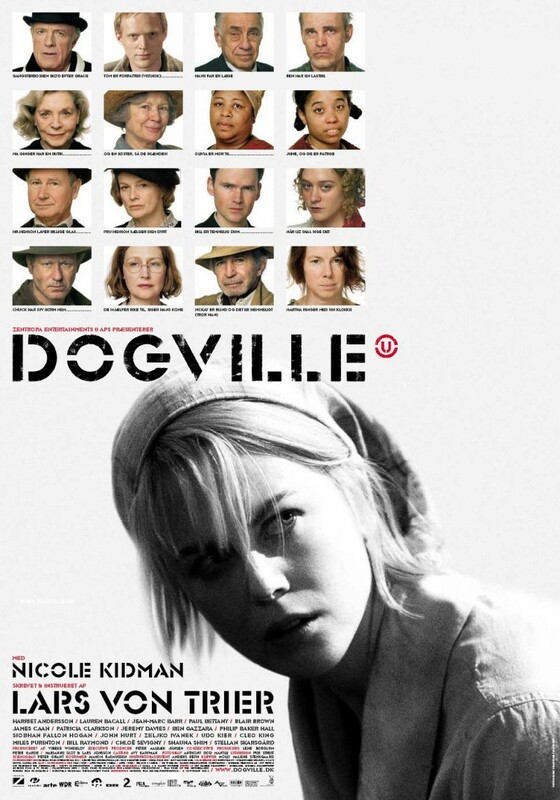 On the run from a group of gangsters, Grace (Nicole Kidman) arrives in the small mining town of Dogville. Town philosopher Tom Edison (Paul Bettany) takes her in and strikes a deal with her: She’ll work for the townsfolk in exchange for a safe place to hide; after two weeks the people will vote for her to either stay or go. Grace agrees to the terms and ends up meeting the locals, including the town doctor (Philip Baker Hall), shopkeeper (Lauren Bacall), and apple farmer (Stellan Skarsgård). Eventually, Grace’s standing in the town takes a downward shift as the search for her intensifies.